the popup opens but never shows the textinput field. It stays the way as on screenshot. 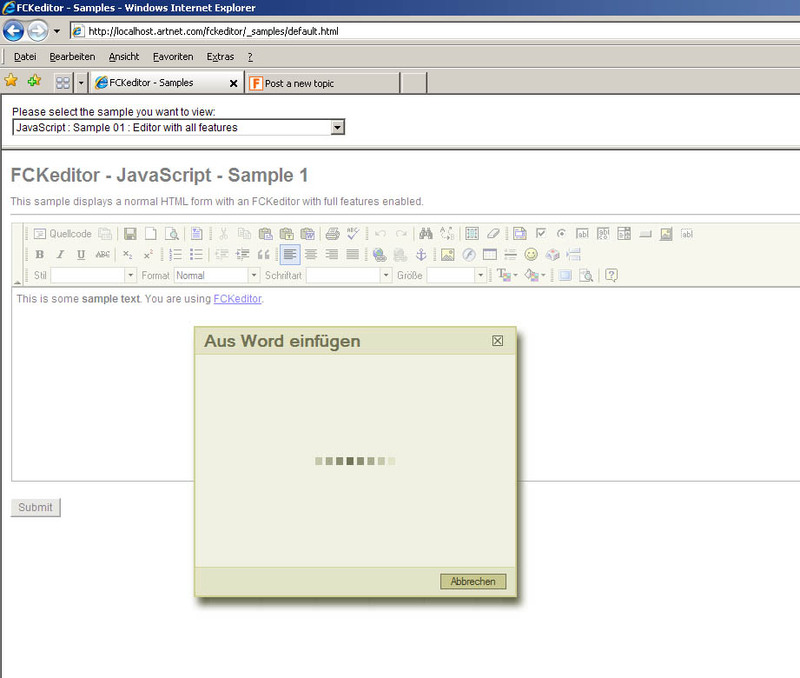 I also tried non JS fckeditor (ASP version), the same happens. The webserver is IIS, version 5.1. If I use the default sample under Apache - Server locally, it works fine.